Jens' incredible micro resolution is the result of vanishing low noise. Yes Merrill Audio named it Jens, pronounced "YENS" the origin of this word is Danish. The English translation would be, God is Gracious. The preamplifier was developed over a period of seven years by Jens Waale and Beta tested with many audiophile dudes for more than two years. Merrill Audio has adopted it and improved it further with the guiding hand of the designer Jens Waale. Now my first question regarding this amplifiers odd name was answered. However, that was just one of my questions, there will be many more as this story unfolds during my review of the Merrill Audio Jens phonostage. For some time this amplifier was only a mere rumor. More than one of my close New York friends had a go at it while it was in Beta testing. Finally, the Merrill Audio Jens phonostage has come out of the good wishes stage and into my hands as a true production product. This is the part where you find out what $15,499 will get you. The Jens Power Supply and the body of the Phono Preamplifier are housed as two separate components. Now I asked some very specific questions about what was inside these two chassis. The reply I received was a brief, "It is solid-state." Therefore, my usual brilliant descriptions of the interior emotive workings will have to be severely limited. In fact when Editor and Creative Director Steven R. Rochlin asked for high resolution images of the interior, Merrill Audio was a bit secretive so as not to expose the extreme construction techniques employed within the Jens. Possible comprehensive circuit related details involving Op-Amp's, Steam or Windup internal circuits will have to be omitted. The phono amplifier chassis measures 17" wide by 15" deep by 4" high and is supported on Stillpoints Ultramini risers. 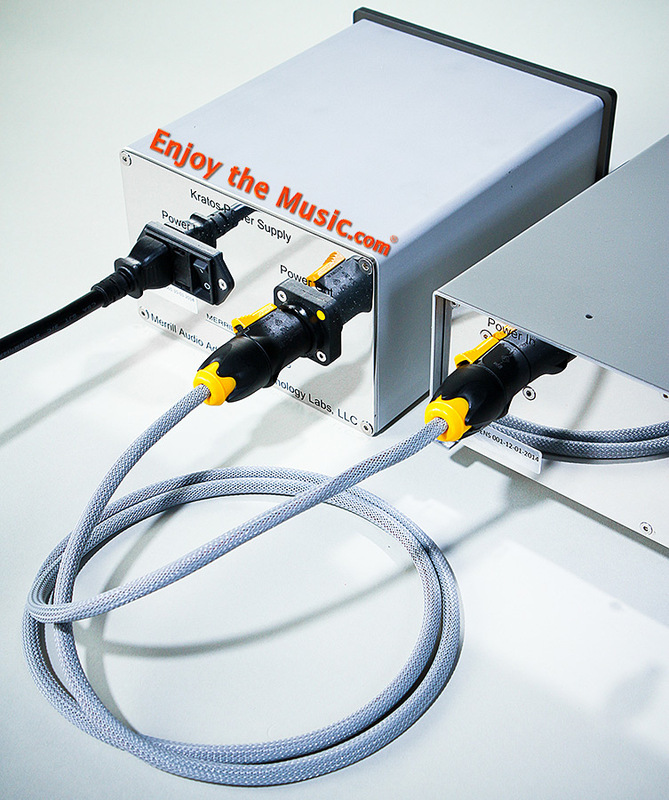 The steel slip case cover helps shield the Phono stage from electrical interference. It is painted with metallic gray powder coat enamel. The phono amplifiers front panel has six blue LED's visible behind a Plexiglas window. There are three rows one above the other with two LED's per row. When first powered on all six blue LED's are illuminated. 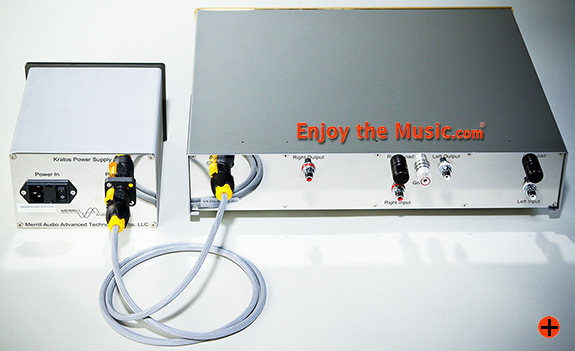 The Phono stage is designed for continuous operation and has three operating states. All three rows, a total of six blue LED's are lit with power on. If there was something wrong that was detected by the Jens Power supply the six LED's would remain lit. This also happens when power is turned off, all six blue LED's will flash on, then off. Power on with the unbalanced, RCA input ON. The RCA output at this time is not on. When all internal checks are clear the bottom two rows of LED's are lit. The output is still not connected to eliminate any pops or clicks. Input and output are connected internally, middle row of LED's turns off. This is full operation with only the bottom row containing two blue LED's remaining on. At the back, or business side, of the Phono amplifier chassis are four RCA pure copper rhodium plated jacks made by Furutech and a centered grounding lug. There is a separate RCA pair for the left and the right channels. Two are for phono input and another pair for the output to a line preamplifier. There is provision made for resistive cartridge loading. At the back panel there are two Ebony wood knobs that may be turned to select one of 12 resistive loading values. The adjustment range starts at a low value of 5 Ohms and then progresses through 12 discrete steps and ends with a maximum resistive value of 5000 Ohms. None of the resistive load settings are shown nor are they printed next to the knobs. I had to double check the loading values with the owner's manual and count the number of switch detents to double check the cartridges resistive loading. At this point it becomes obvious that the Jens is made as a dedicated low output moving coil (MC) phono amplifier. The performance quality relies on a shielded super quiet power source. Still no circuit details but I can tell you that the separate power supply generates 18 volts Direct Current. The Power Supply enclosure measures 7" across the front face and 8" deep and is 4.5" high. The enclosure is aluminum and painted a light metallic gray. The power supply front panel is made of a translucent black Plexiglas. At the back panel there is a Schurter double fused IEC type power cord socket, with on/off switch and a Neutrik Powercon Tru1 locking receptacle for the shielded Umbilical cord. When the power supply is turned on there are two red LED's visible at the front panel indicating power is on for both rails. The five foot long Umbilical cord connecting the power supply to the phono amplifier is shielded and terminated at both ends with Neutrik Powercon True1 locking connectors. Now there is a cautionary footnote from the manufacturer. The owner's manual tells us to place the power supply as far away from the amplifier chassis as is practical. Not only that but to keep both chassis as far as possible from any source of EMI and RFI electrical radiation. This is because sensitive electronic equipment can be effected by electrical radiation in our environment. And the Jens Amplifier is a very sensitive small signal moving coil (MC) cartridge amplifier. It has a very respectable 72dB voltage gain, this is an amplification factor of 3,981. That means that any extraneous electrical interference may be amplified along with the cartridge signal 3,981 times. So the preamplifier steel case and the shielded umbilical cord are necessary to isolate this phono stage from electromagnetic contamination. A typical 5 microVolt output of a moving magnet cartridge might be amplified by a factor of roughly 100 (40dB) before the signal is fed to the rest of the audio system. And a 0.500 microVolt signal from a moving coil cartridge typically needs to be amplified approximately 1000 times (60dB). Most cartridges have outputs falling within this range. The amplification that is required is large when compared to the very small voltages generated by the cartridges. Therefore any noise entering the input of the phono stage will be amplified along with the cartridge signals, as will any noise generated by the amplifier itself. If the amplifier does not block incoming noise and minimize its own noise contribution, it will bury the musical signal. The excellent signal to noise ratios should exceed 60dB for a typical moving magnet (MM) cartridges generating 5mVolts (0.005 Volts). And 70dB for moving coil devices that generate voltages in the micro Volt range. For example consider the $6000 Van Den Hul Condor moving coil cartridge which outputs only 0.00250 parts of one Volt. A Moving Coil Cartridge From Hell? Back in May 2012, Enjoy the Music.com published my review of a very innovative $5000 Haniwa HCTR01 moving coil cartridge. The HCTR01 is a very low impedance MC (moving coil) phono cartridge. It is unusual in that it has a very small internal coil resistance of only 0.8 Ohm and a low inductance of 1.3uH (micro Henry). Minimizing the HCTR 01 cartridges coil inductance was the most important design parameter. Inductance my dear Audiopals is detrimental in that it will alter frequency response and smear phase response. The specification given for HCTR01 Phase Variance is less than, plus/minus 1%.This is achieved by winding the coil with a bare minimum of wire. It will be a tough test to get this unusual micro generator cartridge to behave. To correctly optimize this cartridge and realize its full potential will be beyond many phono amplifiers. The first problem is to correctly match this cartridge inductance and internal 0.8 Ohms resistance. Now to approximate a loading value, follow this old rule of thumb. You look at the coil resistance of the cartridge, which in this instance is 0.8 Ohms. Now multiply that resistance, in this case the range should be from 8 to 30 Ohms. We start with the lowest Jens resistance value of 5 Ohms; that's with the knob indication pointing straight up at 12 o'clock. Then turn one click more in a clockwise direction and the next value will be 25 Ohms. Listening and switching between these two positions I choose position #2 at 25 Ohms. At this setting I hear an improved balance between the bass energy and the treble energy. Let's start with another flea market find, Super Tramp (live concert) in Paris France, A&M Records [AMP-44001-2]. Let me explain something: I do not use hi quality super vinyl disks to test Tone Arms, Turntables, Amplifiers or cartridges. The main requirement is that it is left alone and not faked in the studio. Listening to this concert the live microphones placement and the sound levels are a mess. The piano is up close and to the right of center, whilst the vocals are farther back left of center and the mix is awash in sporadic crowd noise. That's perfect, as the voices in the crowd and the vocal track shift move within the space between the Alta Audio FRM 2 speakers as reviewed earlier this month. The incredible separation and detail resolution manifested by the Jens amplifier places you on that stage. Two weeks after I slotted the Jens into my reference system. There was a gathering of about 25 audiophiles in the home of one of our members. The Jens Phono stage was the subject of that meeting. Every one present was encouraged to bring their favorite vinyl disk. And so over a span of two and a half hours we listened to a wide variety of vinyl recordings. Each recording was played twice, first with our host's high-end, high quality phono amplifier and a second time with the Jens phono amplifier. There was one excellent recording of operatic aria by Lyric Coloratura Soprano named Aanna Moffo [RCA LSC 2504]. Specifically it is side one, cut one, the Faust opera: Air des bijoux this stands out as an example of what makes the Jens phono amplifier exceptional. Listening with our host's own phono preamplifier in the system Anna Moffo shifts position and moves about on stage between the speakers. Our host's phono amplifier places the singer moving from the center front stage then backward on the stage and then slowly resuming a position, forward stage center. That very same aria heard through the Jens amplifier depicts the singer's movements with far more detail. As before the singer stands at the center front stage then moves farther backward. Now Anna Moffo's position shifts coming from a different place. ADuring this second playing, the Jens places the Sopranos on stage position even farther to the back of the stage. In addition her solo voice has moved farther to the right just next to and slightly behind the right speaker. Then as before the vocalists position slowly moves forward resuming a place at the front center stage. This precise stage movement cannot be possible without exceptional detail resolution and precise imaging. These entire ultra-low level micro detailing can only be the result of sonic Dark Matter. The analogy holds up, it is something that cannot be directly heard or seen but it exists in the space between every musical note. We know it is there for how else can there be so many subtle clues in the recording. It is like listening to the vinyl's mother stamper rather than a copy eight generations later. It transmits clues of stage dimensionality voice and instrumental harmonic overtones and even the nature of the space the recording was made within. Most writers might say a performance with detailing like this is layered over a "black background". But actually what they are referring to is the component amplifiers noise floor. This is a type of purity in that the device whatever it may, be lets the audio signal flow unchanged and unaffected by the power that amplifies the recorded information. The vanishing low levels of the Merrill Audio Jens phonostage noise floor showcases why it took so many years, and so many ears, to perfect this moving coil phono amplifier. In my experience the Jens micro resolution results from a new vanishing low noise standard. Out of all the many moving coil amplifiers I have auditioned this one best preserves the original performance. If you love music and play vinyl recordings with a moving coil cartridge, then I think you will be impressed. That is only if you care enough about the myriads of small clues that create a living experience. 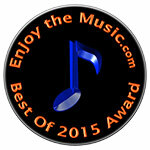 Remember to enjoy the music and from me... Semper Hi-Fi. Source components: Sota Saphier2 turn table and Haniwa HCTRO 1 Cartridge, Sangean Digital tuner, Marantz 8400 Universal CD/SACD/DVD player. Music Hall Upsampling DAC 25.3 and headphone amplifier. Amplification: Sanders ESL power Amplifier, Parasound Halo P5 Preamplifier, ARC SP9 MK3.Tube preamplifier. Speakers: Alta Audio Celest FRM2, Aurum Cantus Leisure 2 SE two way monitors on 24-inch stands. Speaker Cables: Kimber Kable 12tc 11ft. Connections: Two input and two output unbalanced RCA Jacks.